We believe what sets Teffont apart from other printer sales companies is our attention to detail and the support we offer to our customers, particularly in our after sales service. When you purchase a printer from Teffont you get so much more than just great advice and pricing. Inkjet Printers: Inkjet printers are one of the most universally used printers for general small office or home printing purposes, and are suited to low volume output, particularly for colour printing. All-in-one Printers: Also known as multifunction printers, all-in-one printers are designed with smaller offices or home businesses in mind, where space may be limited. 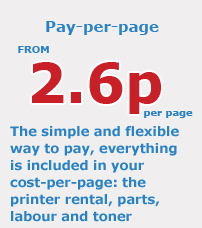 All-in-one printers combine several facilities in one machine, usually printer, scanner, fax and copier. Desktop Laser Printers: Laser printers are fast, precise and economical to run, which makes them a good choice for large document output and for printing pictures and text on one document. 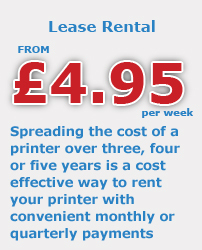 Whether colour or mono they are the most popular choice for the majority of business users. Wide Format – Plotters: Wide format plotters are used to print documents over two foot wide, and are commonly used in architecture, engineering and construction. Wide format plotters can print in colour or mono onto a wide range of media in a variety of widths. 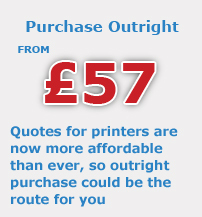 Wide format printers are also useful for producing banners, signs and large scale posters. We like to think we have thought of everything to ensure that your entire experience with Teffont, from your initial enquiry to your printer’s first service, will bring you peace of mind and the confidence to allow us to take care of all your printer requirements while you take care of business.